Now with Green Tea Extract! Apothekari Bespoke Vitamin C 10% Serum (30 ml/1 fl oz) has been reformulated and now contains Green Tea Extract! Green Tea Extract contains a high concentration of EGCG (epigallocatechin gallate), a potent antioxidant that aids in repair of damage caused by UVA radiation and helps prevent damaging mutations. EGCG also helps control blemishes by controlling sebum (oil) secretion thereby helping to keep pores open. Our Apothekari Bespoke Vitamin C 10% Serum is a made to order Vitamin C serum featuring L-ascorbic acid plus an arsenal of antioxidants, moisturizing and other skin beneficial ingredients. L-ascorbic acid is a highly effective form of Vitamin C that is backed by the most clinical studies of any form of Vitamin C to support its use in skin care. 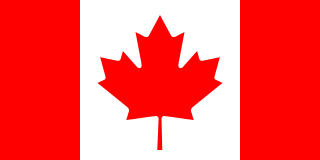 We are very excited to share this product with you! Although the 10% concentration offers significant benefits and is suitable for all skin types, you may wish to consider our Apothekari Bespoke Vitamin C 15% Serum, if you are looking for a higher concentration of L-ascorbic acid. It contains the same active ingredients but with a higher concentration of L-ascorbic acid and may be better suited to your skin care needs. Because each Apothekari Bespoke treatment is made just for you when we receive your order, you can be assured that the treatment you receive is stable, active and safe to use. Each bottle has a best before use of 6 months so we recommend that you order a new bottle when you have finished your supply. Used as recommended, one 30 ml/1 fl oz bottle should last between 3 to 6 months. It is not necessary, but you can refrigerate your serum if you wish. 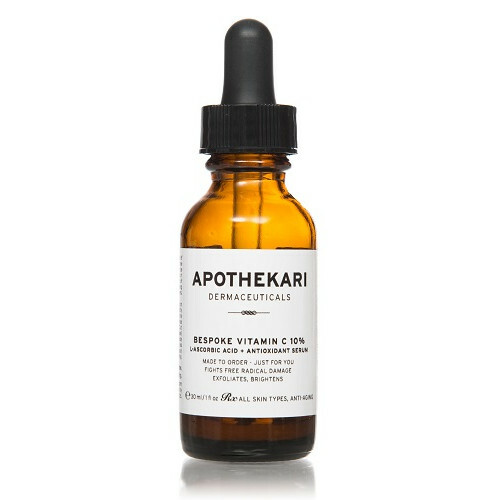 What can Apothekari Bespoke Vitamin C 10% Serum do for your skin? Hyaluronic acid: Moisturizes. Also helps with skin repair. Camellia Sinensis (Green Tea) Epigallocatechin Gallate: Antioxidant. Protects against UVB damage. EGCG also aids blemish control, by controlling sebum secretion and helping to keep pores open. Shake gently prior to use. Apply a thin layer of Apothekari Bespoke Vitamin C 10% Serum each morning to face, neck, and décolleté, keeping away from the eyes. 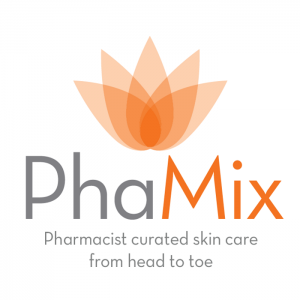 Wait 30 – 45 minutes before applying other treatments. This is a low pH product so usage will depend on individual tolerance. Cut back on usage if you feel any discomfort. You will still receive skin benefits if you choose to use this product 2-3 times per week. Water, Propanediol, Ascorbic Acid, Glycerin, Sodium Hyaluronate, Ferulic Acid, Camellia Sinensis (Green Tea) Epigallocatechin Gallate, Punica Granatum (Pomegranate) Seed Oil, Tocotrienols, D-Alpha-Tocopherol, Astaxanthin, Lycopene, Lutein, R – Alpha Lipoic Acid, Beta-Carotene, Tocopherols, Xanthan Gum, Phenoxyethanol, Caprylyl Glycol, Sorbic Acid.